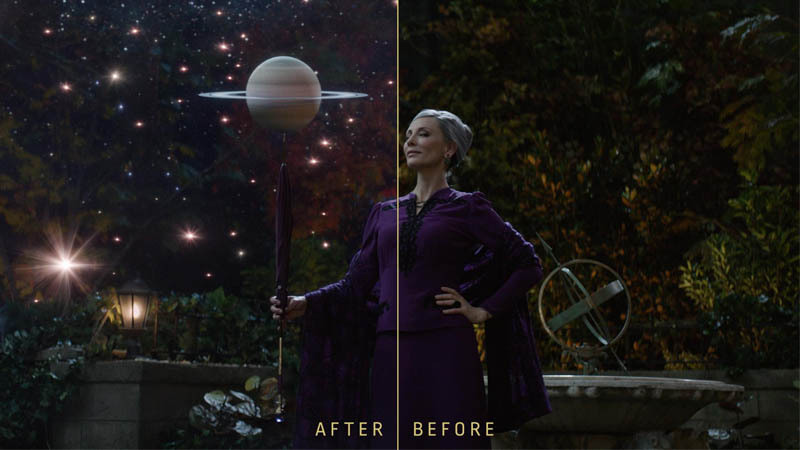 RodeoFX, Alchemy 24 & Folks VFX worked on Visual Effects for The House with a Clock in Its Walls. Creative team at Folks VFX created group of evil pumpkins with distinct looks and personalities. Watch how they orchestrated their movement, interactions and expressions to create a one-of-a-kind gooey pulp attack. RodeoFX worked on 160 shots for the movie. VFX Supervisor Louis Morin lead for this magic-filled movie. A team of 150 artists from Montreal, Quebec City and Munich, led by VFX Supervisor Alexandre Lafortune, was tasked with bringing to life the griffin, the automatons, Baby Jonathan and the Clock Room. A lot of time was put into the shading, the look dev and modeling of the automatons, which are seen from up-close. For the griffin, Creative artists were provided with an onset plastic topiary, which, although it was the right scale, took their artists 4 months to work on its vegetation, twigs and lion aspect. For the Clock Room scene, artists embarked on extensive research of gears to create the 450 pieces of CG gears and pipes that make up the shot.